Recently I spoke at WordCamp Helsinki about the user experience of multi-lingual and multi-regional websites. My entire interest in this was born from the dreaded ‘Briefly in English’ pages I often find on websites. 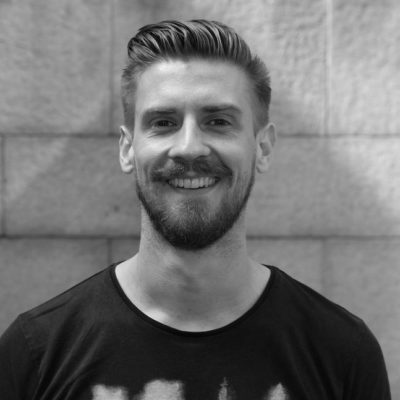 I also realised that no one seems to be talking about this in the community, just try and find best practices for building multi-lingual or multi-regional websites! Whether you’re building a completely new site or refreshing an existing one, you need to pick the right setup for dividing your content. Content can be divided by languages, regions or regions and languages (often referred to as locales). This allows us to provide more relevant content to a user based on their country and language. In turn this creates a positive user experience, as well as helping search engines to display more relevant results for users. Consider if your content is specific to a country or not. 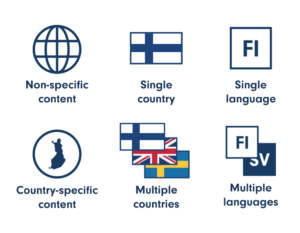 If so do you need to have content for multiple countries, and do those countries need to have multiple languages? Give your users effective tools to navigate between different language or locale versions and make sure your language selection menu is clear. 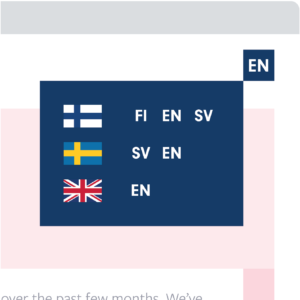 Avoid using flags for languages, use them for countries instead, otherwise you might be insulting someone! When listing languages, display them in the language itself. A German-speaker is most likely looking for ‘Deutsch’, not ‘German’, the same way an English-speaker would be looking for ‘English’, not ‘Inglés’. 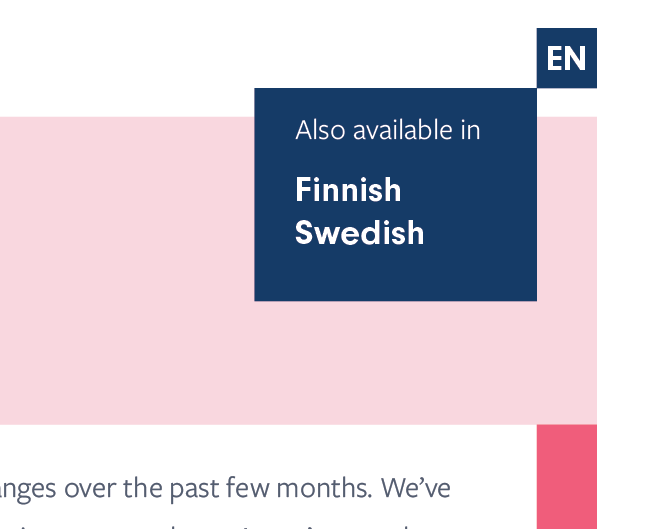 Ever landed on a website in a different language, switched to your language version, then found there is nothing more than one or two out-of-date pages with unhelpful content? It makes you feel like a second-class user, right? Ask anyone involved in search engine optimisation (SEO) what are the crucial things to pay attention to, and they will start talking to you about producing quality content. The same applies to user experience. Your users deserve at least the basic information that other language or country versions have. When planning a site’s content, think carefully about your strategy for translating your website’s content. Identify the core content of your site that is most useful and at the least localise that. From there look at your other content and with a cost:benefit ratio-approach, prioritise the localisation of content that will help you achieve your site’s goals without breaking the bank. Your site’s website address (URI) structure conveys a lot of information both to users and to search engines about how your site is structured. The way your URIs show the division of language and/or country specific content is a key part of this. Different multi-lingual plugins for WordPress may give slightly different options for showing the language in the URI. Common options are parameters, sub domains, directories and country-specific domain names. Parameters in the URI (e.g. example.com/?lang=fr) are just terrible. Search engines don’t like them, they don’t look great to users. Don’t use them. Just don’t. Subdomains (e.g. fr.example.com) are technically fine, but from a user experience point of view you are forcing the user to ‘read’ your site structure backwards. It also might not be clear if the code relates to a country or a language version. Country specific domain names are a great option. They are already setup with search engines such as Google to be linked to a country and are a clear indicator to the user who this content is intended for. However getting hold of these can be expensive and time consuming if you are looking at countries where your business doesn’t have an official presence. Directories after the domain name (e.g. example.com/fr) arguably are the easiest to understand and the most scaleable option when expanding to new markets. You can add an extra directory to account for countries-specific content when using generic domain names, like ‘.com’ (e.g. example.com/ch/fr). With these tips in mind, you should have a great starting point next time you’re working on a complex multi-lingual and/or multi-regional site. With some careful planning and thought, you can provide a great user experience to your visitors that will increase your chances of your website achieving its goals!